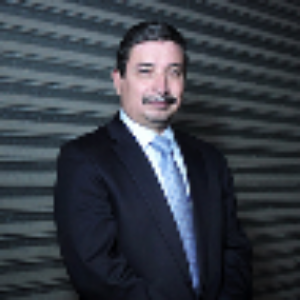 Gustavo Rojas is CEO of Gersa Monterrey, a CSIA Certified member headquartered in Santa Catarina, Nuevo León, Mexico. Gersa is a leader in serving the mining, automotive and glass industries and has been in business for more than 20 years. We invited Gustavo Rojas to share some background on his company and the industry for this edition of the CSIA Member Spotlight. Gustavo Rojas, Gersa Monterrey S.A. de C.V.
What makes Gersa optimistic about the future of the automation industry? Gersa has a vision, and one of the great pillars of that vision is managing projects at a worldwide level. We have found that the countries with the most successful development maintain a high level of automation and coincidentally function in a solid economy. This is why if Mexico grows in the automation industry, professionalism and quality of life will benefit and drive new platforms of economic growth through advancing technology. Gersa is working with technological leaders and exploring Australia’s mining sectors. By forming such an alliance, we hope to replicate those kinds of operations here in Mexico. Gersa is the most recognized integrator company in metallurgy and mining for ABB Robotics Mexico. Share the history of how Gersa began and how the company has evolved in the automation industry. Gersa began in an agency for mechanical design. In the past 10 years, we have worked with major clients like Valiant, KUKA and COMAU, integrating our company in the automation world as system integrators. The growth of Gersa began in an agency for mechanical design and its startups. Over 10 years have passed as we have covered ourselves with the giants like Valiant, KUKA and COMAU integrating ourselves in the automated world, primarily as support and actual integrators. Gersa is a CSIA Certified integrator, one of the few certified companies in Latin America. How do you explain to industry clients the importance of certification? Gersa is proud that we are one of the few Mexican companies to become CSIA Certified. CSIA has documented methodology for certification, which guides the process of a project and shows our clients how we can reduce risk in the process. Gersa follows CSIA’s best practices. This establishes our company as the best option for clients to understand why they should choose us. CSIA looks at Latin America as a great opportunity for growth. In fact, CSIA recently hired a Latin America coordinator who is based in Mexico. How can this focus on Latin America help integrator companies like Gersa? Being a CSIA member integrator in Latin America offers many benefits. It positions Gersa as a pioneer company. CSIA offers us the opportunity to connect with companies worldwide. What convinced Gersa to become a member of CSIA? We took great steps in our search of automation organizationsworldwide. We discovered great value in the certification program and required expectations to become members of CSIA.